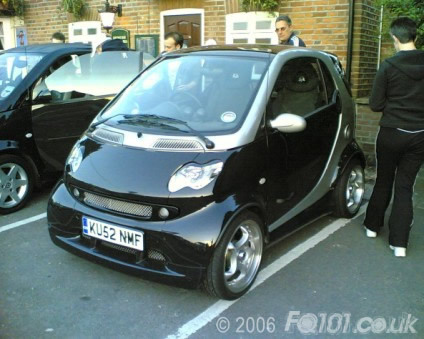 Under my dads advice I test drove a fortwo cabrio at smart of Reading totally fell in love with the car, I wanted the black Brabus widestar they had sat in the showroom but at £13,995 it was way out of my budget. Exactly a week later I purchased a black and silver Passion coupe with 3,000 miles on the clock and was over the moon. 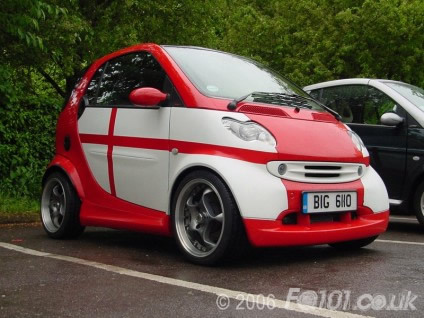 As time went on I saw more and more modified Smarts driving around and seeing the London to Brighton run on the news. 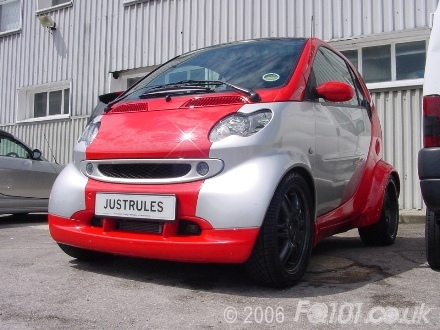 I run a quick search online and found Funkysmart, I couldn't believe how serious people were modding these cars so the project started. As time went on I attended a local Reading meet were I met Jimmy Wong who has now become a really good friend. Jenny and Roger who ran the meet made us feel very welcome and since then have attended almost every single one. 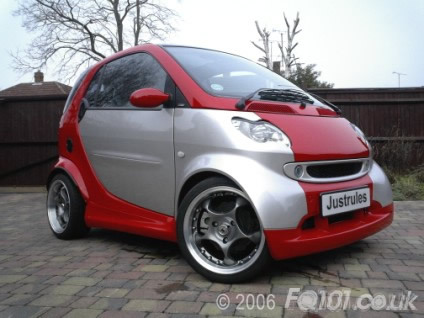 For Billing 2005 I had the whole car sprayed in Ferrari Rosso Corsa red and the Schmidt wheels repainted in BMW M5 black chrome. 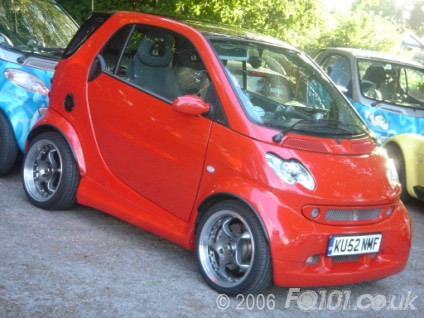 Now this is maybe where I should have started saving my money for more important things in life but... no, I carried on working round almost every single part of the car. It was a cover car in Smartimes and a feature in the next issue. The World Cup was starting and I had a spare set of panels knocking around so I set to work on the car just for a bit of fun. I'm not going to bore you with a list of mods as you will see a few of them in the howto guides. 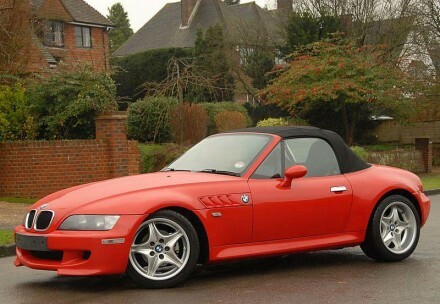 After parting with the red fortwo I bought a BMW Z3, I was looking at M3's at the time but opted for the Z3 instead, after the 10 months of ownership it was well and truly out of my system and was sold. 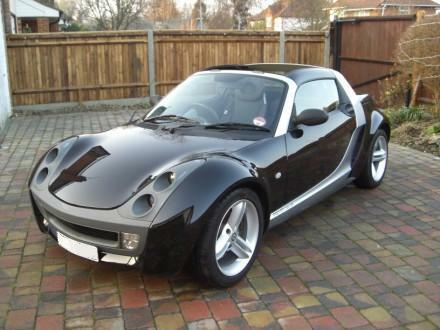 My next purchase was invertible, a 2004 Smart Roadster. 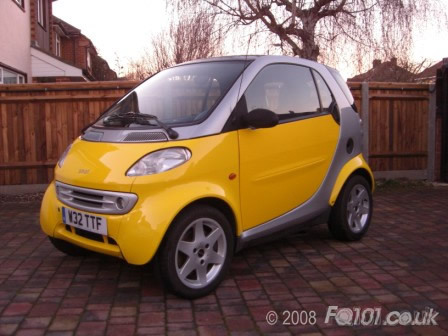 I was offered an old school fortwo that had seen better days so it was bought, resprayed and fitted with a Roadster engine. I've made some fantastic friends in the Smart world and meet more and more at every meet.